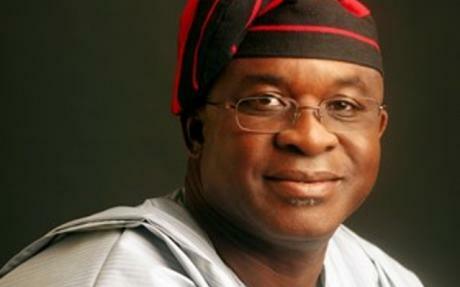 Where Did David Mark Get the Funds for His Private University? David Bonaventure Alechenu Mark, Nigeria’s Senate President, is one of those extremely wealthy rogue soldiers produced by Ibrahim Babangida’s settlement philosophy. Fate has blessed him with an illustrious looting career. He has been stealing money from the Nigerian people for a very long time. When he got tired of stealing money, he graduated to loftier preoccupations: stealing elections. Thus, in one of those only in Nigeria self-destructive travesties, the occupant of the third highest office in the land actually never won any of the elections that got him to the National Assembly. Like others, he is a beneficiary of the PDP’s phenomenal rigging machine. He is openly pretending not to eye the presidency in 2015 but, deep down, he won’t mind adding tenancy in Aso Rock to his personal legacy of rigged elections. In the meantime, David Mark has graduated from stealing elections to being lucky. Luck, for David Mark, is not about your head auspiciously making you the number two man to bosses destined to run into trouble or die along the way. Luck, for the Senate President, comes in the shape of a succession of overwhelming national tragedies which makes the personal transgressions of Nigeria’s political rapists pass unnoticed. Such has been the harvest of corpses lately in Nigeria, from Baga to Bama to Nassarawa and counting, that it would have been politically incorrect for anybody to pay attention to the regular but less violent ways in which the political class continues to kill more Nigerians than Boko Haram or armed robbers combined. With Boko Haram, a hundred lives, two hundred lives, go out in a bang and photos of calcified bodies go viral on social media to remind us of the tragic errors of our national rendering. With every billion looted by a politician, thousands of lives go but not in a bang. They go smiling to their graves. They go installmentally. For every billion looted translates to hospitals and roads not built. There are no calcified images to show us that these thousands of slow, installmental, shuffering and smiling deaths are directly linked to the billions looted by a particular politician. Hundreds of lives taken weekly in the blitzkrieg of Boko Haram, armed robbery, and our other national demons are more newsworthy and have more spectacle value on social media than the somber reality of hundreds of thousands walking deads on our streets, all candidates for the grave, because a politician has looted the money meant for hospitals, roads, and clean water provision. This is why luck shined on David Mark and another recent evidence of his brazen looting of our commonwealth went grossly under-reported and totally ignored by Nigerians. Like most Nigerians, I nearly missed the news, partly because only one newspaper (Nigerian Tribune) considered it newsworthy and partly because I was distracted and anguished by other national tragedies associated with Boko Haram. Although, somehow, the editors of Nigerian Tribune did not consider it front page material, they still displayed enough critical acuity to give it an appropriately ominous headline in the Sunday, 12 May 2013 online edition of the newspaper. “3 Policemen, 5 Others Injured Over Proposed David Mark University”, screamed Nigerian Tribune. Now, that caught my attention. Wait a minute, I thought, David Mark, a sitting Senate President, is building his own private University? How on earth did Sahara Reporters and Premium Times miss this story and the attendant necessity of investigating how David Mark is funding his University? The opening paragraph of the Tribune story confirmed my worst fears. Says Tribune: “No fewer than eight people, including three policemen, were said to have been injured in a clash between youths in Asa community area of Otukpo town inOtukpo Local Government Area of Benue State over the location of a private university owned by the Senate President, Senator David Mark. The youth were said to have converged on the Otukpo-Oju federal highway mid-week to protest what they described as unlawful acquisition of their land by the Senate President, while the policemen drafted to the area were said to have received stiff resistance from the youth. Efforts by policemen to disperse the youth were rebuffed, which reportedly left eight people, including three policemen, injured.” Like most things Nigerian, this piece of bad news comes in tangled layers. Tragic trees always fall on tragic trees in our situation and it is always a very difficult task determining which to remove first. So, we shall pretend not to notice that David Mark is also apparently involved in a messy land grab that has now caused injury to fellow Nigerians (poor Benue! When they are not robbed blind via contract rackets by Doyin Okupe, they are robbed silly by one of their unelected representatives in the Senate) and focus on the more sinister news of a salaried Senator funding a private University. There is a sense in which David Mark’s venture into higher education (my dear brother, Tade Aina, Program Director of Higher Education in Africa for the Carnegie Corporation, must be gnashing his teeth in agony over the new meaning that politicians in his country are giving to higher education) reminds me of ace British colonialist empire builder, Cecil Rhodes.Starring at the heavens from his compound in South Africa one beautiful evening, Rhodes famously exclaimed: “I would annex the planets if I could.” Just as Rhodes wanted no part of the solar system left uncolonized by the British, no part of our national life is left uncolonized by the loot of the political class. For members of Nigeria’s political class, looting the treasury is no longer just about stealing money to rival the material acquisitions of Arab oil sheikhs in choice locations all over the world; it is no longer just about aping the glamorous lifestyle of Hollywood royalty, it has now acquired a psychological dimension with a tinge of impunity. Beyond material acquisition, loot creates the desire in the rapists of Nigeria to invade and make their odoriferous presence felt in those areas of national life which still provide some form of psychological cushion for the people. Thus, when the Nigerian politician or government official has acquired enough property in Abuja, Lagos, Dubai, Johannesburg, London, Washington, and Toronto; when he has acquired a private jet; when his fleet of expensive exotic cars in Nigeria makes his compound look like a car dealership; when he boasts a permanent year-round reserved room in Sheraton or Nicon Hilton, agony and restlessness set in.What to do next? Ah, yes, let me colonize other areas of life of Nigerians. Let me take my loot into other zones, other spaces that ordinarily ought to be inviolable. This is the point at which they begin to invade and colonize faith. Thus far, only the traditional religions are safe from their depredations. They are not building ultramodern shrines yet forBabalawos and Dibias. Nigerian Christianity and Islam, on the other hand, have been very badly hit as I indicated in my open letter to John Cardinal Onaiyekan and Pastor Tunde Bakare. The loot of politicians and government officials has invaded Nigerian faith. They build churches (and mosques but mostly churches) and donate such glamorous buildings with fanfare. The Body of Christ in Nigeria has learnt that talking while eating from the hands of corrupt politicians is bad table manners. Thus, nobody asks any questions about the source of the funds when a politician builds and donates a church to a congregation. I am still waiting for the Nigerian Anglican Communion, especially the Anglican clergy, to ask Deputy Senate President, Ike Ekweremadu, where he got the money to build a flamboyant church for the Anglican community in his village. When they get tired of colonizing faith with their loot, they move on to colonize higher education, mushrooming private universities all over the place. The University idea ought to sue Nigeria for what we are doing to it. Just like we bastardized democracy, we are bastardizing the University idea. Every looter, every crook in Nigeria wants to start a private University after building a Church or a Mosque. Obasanjo built Bells University and we asked no questions. Ibrahim Babangida started Heritage University. His license was withdrawn by the NUC not because of questions over his sources of funds but because he delayed admitting students. Atiku Abubakar bought a franchise of the American University system while still in office as Vice President and we asked no questions about the sources of his funds. Now, a sitting Senate President has ventured into the same terrain and no questions are asked, no eyebrows raised anywhere in Nigeria. Next, a politician will wake up, create, and privately fund Nigeria’s 37th state and there will be no questions asked. This is precisely what worries me: our transition into a society that no longer sees anything wrong with the bastardization of ideals and the violation of national psychic spaces by the criminals in the political class. Bring your loot into faith and try to buy God and Allah, no problem, we the clergy will broker the deal for you. Bring your loot into higher education and try to buy inviolable ideals, no problem, we won’t ask any questions about how and where you got your money. We have thus created a society in which there are no institutions primed to swing into action the moment public servants display expenditure beyond their determined salaries. A US Congressman suddenly buying a Lamborghini or appearing in Congress in choice Ferragamo loafers everyday is asking for swift and immediate trouble with the IRS; a Canadian parliamentarian who suddenly buys the latest Range Rover in a country where most of his colleagues take public transport to work is asking for immediate and swift investigation by Canada Revenue Agency. If word got out that the Speaker of the House in Canada (David Mark’s counterpart in Ottawa) was privately building and funding a University in his village, Andrew Treusch, Commissioner of Revenue and Chief Executive Officer, Canada Revenue Agency, would have a heart attack. However, in Nigeria, David Mark will steal the land he is busy stealing. And build his private University.